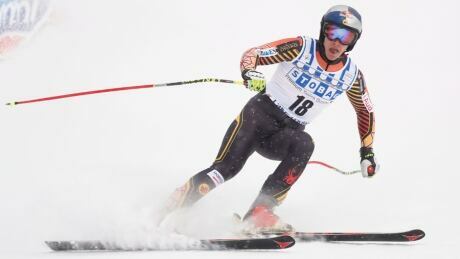 Erik Guay finished eighth in the season opening World Cup downhill in Lake Louise, Alta., on Saturday, qualifying for the Sochi Olympics in the process. Evan Silva is high on Shane Vereen as he breaks down every fantasy football Matchup for every Week 13 game. 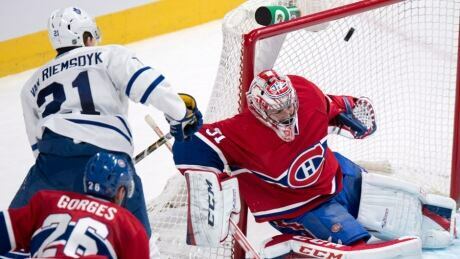 Toronto Maple Leafs forward James van Riemsdyk beat Montreal Canadiens goalie Carey Price in close on a seemingly impossible angle late in the second period, calmly depositing the puck over the netminders shoulder. CSN Chicago Bears analyst Chris Boden gives his three keys to victory as the Bears travel to Minnesota tomorrow to take on the Vikings. Let's work on something realistic here, based on the way the Bears' run defense has been (as Joel Quenneville might say) "trending." While it would be nice if Stephen Paea and Jeremiah Ratliff could be saviors, one is battling through an almost season-long injury and the other's returning from an injury that has forced him to miss more than a full season. How about this: If the last-ranked run defense can limit (yes, limit) Adrian Peterson and Toby Gerhart to less than 200 yards combined, perhaps that's something they can work with. 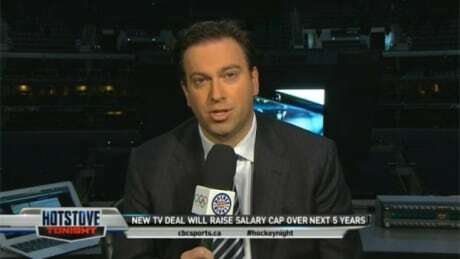 In the latest segment of Hotstove Tonight on Hockey Night in Canada on Saturday, the panel discussed the new media rights deal between the NHL and Rogers Communications and its effect on leagues salary cap. Toronto Maple Leafs forward James van Riemsdyk beat Montreal Canadiens goalie Carey Price in close on a seemingly impossible angle late in the second period, calmly depositing the puck over the netminder's shoulder. Washington Redskins tight end Jordan Reed has been cleared to play in Sunday night's game against the New York Giants according to a report by FOXSports.com. You are currently browsing the Sportspool.com Sports News blog archives for November, 2013.